In this article I want to focus on the second biggest mistake companies make during business transformations. In case you are wondering why I am focusing on the second biggest mistake rather than the biggest one – it is because I have already written a blog post on that topic last week. Here is the link to it. But the second biggest mistake is even more common and well known. It is so easy to recognise that there are a whole lot of cliches used to describe it. Yet it is so common that it worth spending half an hour writing a blog post about it. Even if 10 business transformations are put back on track after reading this blogpost – it would have done its job. After all each derailed business transformation is a huge waste of human effort and ingenuity. Putting the Horse Before the Cart. Confusing the Cause with Effect. A theoretical discussion of human fallacies is out of scope of this blogpost. You can read more about these here. Practical observation shows that most business transformations require at least some degree of IT upgrade. In many cases these IT upgrades take a life of their own and business objectives of the transformation projects start taking a back seat to these technological considerations. Modern supply chains collect information at each node of the network. This rich data is methodically analyzed to optimize demand, supply, inventory, costs and service levels to create the best profit results. Not many people know this art – while there might be many pretenders. The next component in business transformations is the informational part of the business network, which is strongly bounded by its IT systems. A word of caution, though, IT should always be viewed as a means to an end rather than the end in itself. In other words, systems are implemented to facilitate information exchange that is conducive to business transformation. In the project we were working on, the challenge was indeed, moving the system from the regional to the global structure. Apart from having islands of data to consolidate, the company also found themselves dissatisfied with a system that met only 70% of its needs. Even though you may be tempted by flexibility as it offers more room for maneuver in the future, every additional bit of flexibility breeds corresponding complexity. 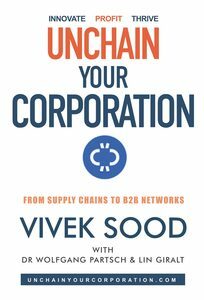 To some extent, if a supply chain forms the backbone of your business, then IT is like the nervous system that helps circulate pulses of information and intelligence around the body. 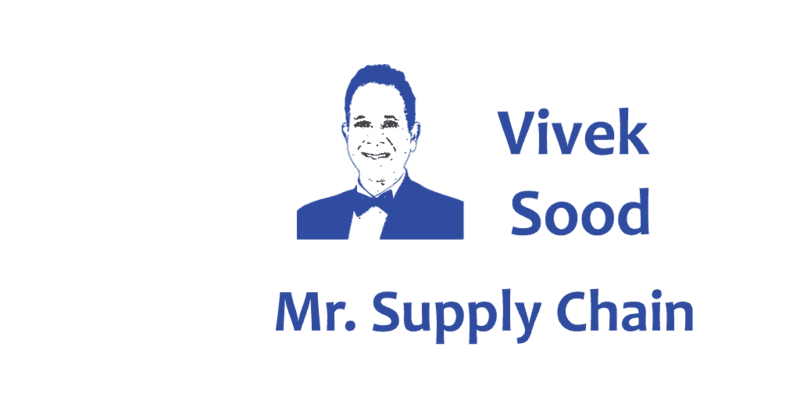 To get a more realistic picture of the complexity, type “supply chain software” into Google and you will get more than 75 million results. How do you know which one is the right one? Though many of them will pretend that they can, there is not a single piece of software that can do everything that you require from a supply chain software solution. Plethora of tools are available – each with its own peculiarities and limitations. Old ERP type systems can lead your operations into a big hole from which it will take years to emerge. Furthermore, each tool is most suitable for certain situations, and unsuitable for other situations. You need the ability get the right tools – just the ones that suit your situation – and combine them well. Even though IT is not a solution to every problem, it should not be allowed to create even more problems than those that exist in the first place. 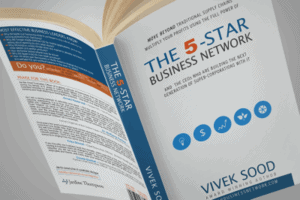 I have dedicated a whole chapter to IT systems in my book The 5-Star Business Network and here I would like to focus only on a few key things. To get this component right, you also need to see things through the eyes of the system provider. It is a delicate dance between rigid functionality and flexible business outcome. How do you choose the right software for, say forecasting, from among more than 2,500 such systems? How do you link this system to the other systems it needs to work closely with – say inventory management software? How do you pick the right inventory management software from among more than 2,000 systems that claim to do more or less the same thing? Do you go for a single solution that is about 50%-60% right, at best – or do you go for a best-of-breed solution that can cover more than 85% of your need, if you do it properly? All these are very complex questions to answer. Figure below, taken from my book The 5-Star Business Network, illustrates just some of the ways a business can falter along their road to using IT for business transformation. Your job is simple – mix and match a best-of-breed solutions. Then you configure the pieces to form an integrated system, that meets your rapidly changing needs in a business transformation. 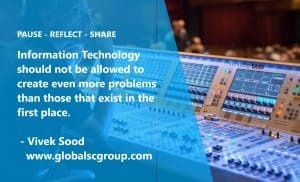 We need to revisit the strategic component, to examine the level of disconnect between the corporate strategy and the IT capabilities and carefully find tools that fill that gap. In the past, it might have been the case that corporate strategies were made up in the air, then supply chain strategies were formed by people down in the warehouses based on their own assumptions about what the business wanted to achieve, and the IT staff work in their own cubicles to provide systems based on poorly articulated needs. If the above example of three isolated types of strategies resonates with your personal experience, you would also concur that despite numerous vocal calls for enterprise-wide collaboration, people still continue to work in silos. This is equal to saying many companies are still staying at Supply Chain 0.0 while others are moving towards 1.0 or 2.0 or, even mastering Supply Chain 3.0. 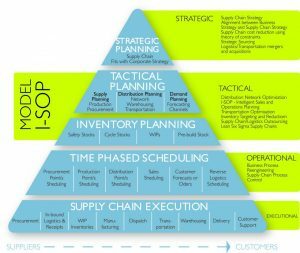 As you can see from Figure above, which shows typical processes in a supply chain 1.0, there are four levels that need to be weaved into a cohesive whole. Typically, there can be missing links between processes – vertically, or even horizontally. Someone working at the operational level may not know how their work is related to the work of someone at the tactical level. Even worse, for instance, a delivery scheduler may not know how his work output related to that of his next cubicle neighbor – the customer forecast expert. During a transformation, processes and services may get streamlined, re-aligned or even created from scratch to accommodate change. That is why it is pivotal to keep in mind how they all fit together by devising a visual presentation such as the pyramid diagram above. Another practical example may illustrate the point better. I was having a conversation with one of the senior executives responsible for business transformation in a large-sized industrial company with operations and plants across the developed world. This particular person had come from one of the top tier global consulting houses and obviously was very well versed in the hypothesis-driven problem-solving approach, which both he and I had learned in our formative years in top tier consulting houses. He was adamant that this approach would be enough to carry out a large-scale supply chain transformation in his business. Hence, he was very skeptical about the supply chain methodologies that we were espousing. In his mind, he could derive the same results from the first principles using his hypothesis-driven approach. And I was patiently explaining to him the difference between going back to the first principles to create a new approach, and deploying a tried and tested approach for supply chain transformations which had the benefit of having adapted the same hypothesis-driven approach. So I gave him an example of the early stage motorcars where people were still using solid rubber tires and a number of fittings which were a carry-over from the days of horse buggies. 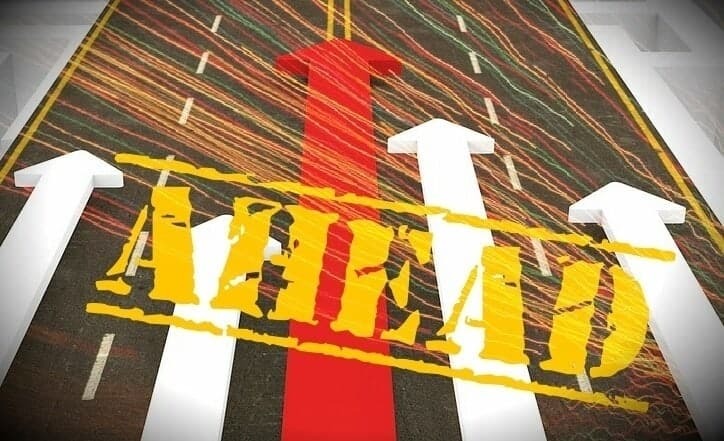 Of course, if he had the luxury of time and budget to make all the mistakes there were, he could probably recreate a modern-day motorcar, going through all the stages of evolution. He was smarter than most of the population, so he could perhaps complete the task in 20% of the time that it took for the actual evolution to take place and perhaps, at 20% of the budget. Yet, if a modern-day motorcar was already developed, wouldn’t he be better off testing if it suited his purpose and adapting it for his use? The role of “process” in business transformation cannot be overemphasized or under-emphasized. Obviously, on one hand, you can become too rigid and attached to the process itself. On the other hand, robust processes, based on experience from a number of similar business transformations in the past, are far more useful than some skeptics envisage. After all, who would you like to be your guide for a climb – a person who can theoretically show you a path through a map of a mountain, or a person who has actually traversed that particular journey several times before, and knows all the pitfalls along the road? Now let us talk about the “service” bit in the process and service component. One of the hangovers from the last century industrial organizations which never ceases to surprise me in a modern-day organization, is the importance attached to a product in comparison to the importance attached to service by the company. Most companies still think they are selling a product, when it is clear that in today’s information economy, most companies are selling the combination of product and service. The service might be just fitting the product, or providing the right information about the product, or helping customers choose the right product for their needs. To give you an example, if you are a customer of a motorcar company like Ford or General Motors and you are looking for a particular part, you will be amazed to know how many different possibilities there are of fitting the right part for the purpose. You will then need to discuss your particular needs with someone called a Parts Interpreter in order to pick a suitable part for your motorcar. It is a very specialized job and invaluable service provided by the car industry to its customers. It is the service that makes the cost of parts more expensive than the base cost of manufacturing and selling that part. In almost every project we have done, when we calculated the overall cost-to-serve, it is very clear that the product component of the cost was supplemented by the service component of the cost, which was quite substantial to start with, and getting higher progressively. 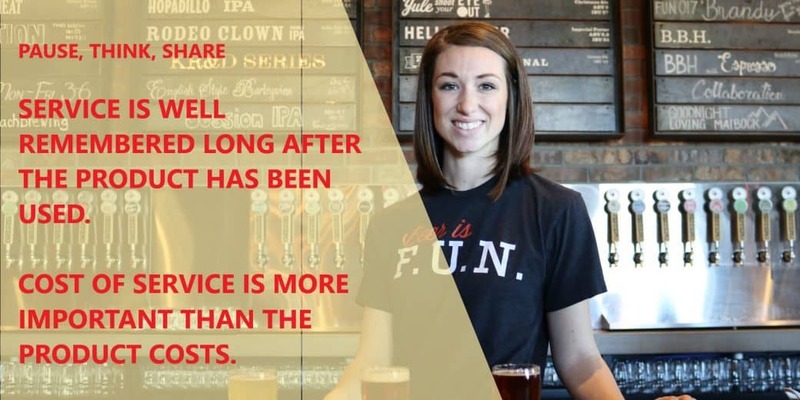 In other words, the overall cost-to-serve is made up of cost of product plus cost of service, each a fairly significant component of the overall cost-to-serve. Then why do companies keep ignoring the cost of service or treat it as a minor hassle, rather than manage it as an overall part of the full cost equation? In many companies, especially engineering-oriented companies, product takes the center stage, because it is tangible and visible, and these companies take great pride in creating superior products. 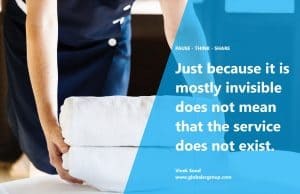 Hence, service is merely an after-thought, even though the cost of service might, in many cases, be higher than the cost of product. That is the reason why a cost-to-serve analysis is an eye-opener for senior management teams or for boards of directors, when an overall cost breakdown is laid out, clearly showing that cost of product is far less than the cost of service. Suddenly, the entire orientation of the management changes towards managing the service component much more efficiently and effectively than they have ever done in the past. We have noticed that tendency in airlines, in the automotive industry, the mining industry and in many other industries. If you look at it from a customer perspective, the service is the most important part of the transaction – experience is well remembered long after the part (or the product) has been fitted and used. Similar to the informational component, companies are increasingly discovering their ability to cherry-pick service providers that deal with different service modules. Before this can happen, service components must be broken up into geographical, asset based and activity based components to discover and engage best service provider for each module. This is known as modularization. 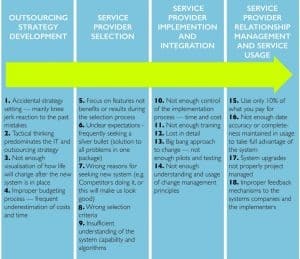 Then, service modules are homogenized in order to create and manage parallel interactions with several service providers at same time. The cherry-picking or commoditization of service modules enables you to configure a best-of-breed customized business-to-business network that would be impossible to emulate for your competitors, and provide flexibility, cost advantage and risk mitigation to your company. 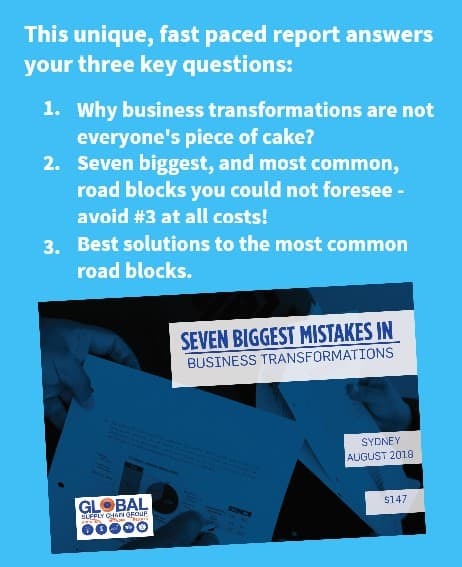 All this is possible only if you avoid making this second biggest mistake in business transformations and keep the focus firmly on the business – not on the tools – IT systems, or processes – used to achieve the business transformations. Sure you will need the right tools, and deploy them rightly – that is important. But much more important is why you are deploying them, and are you getting the right results from them?